Two film producers discovered a hole in the outerwear market and decided to fill it. Palmer West and Jonah Smith, who’ve produced movies like Requiem for a Dream and The Clearing, founded Aether, a company focused on technical outwear mixed with sophistication. 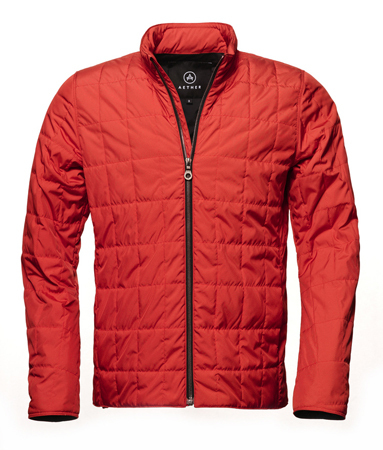 The new company, launched in January 2009, is a high-end outerwear company that has jackets for as much as $795. Its target audience: People who want high fashion and high function and aren’t afraid to pay for it. Each jacket has a good mix of technical features – such as wind and water resistant fabric, breathability and UV protection – and urban-inspired styling. The company also has a handful of not-so-technical polos, hoodies and button-up shirts.